Posted November 4, 2016 by Brassica Contributor & filed under Broccoli, Glucoraphanin, Recipes. 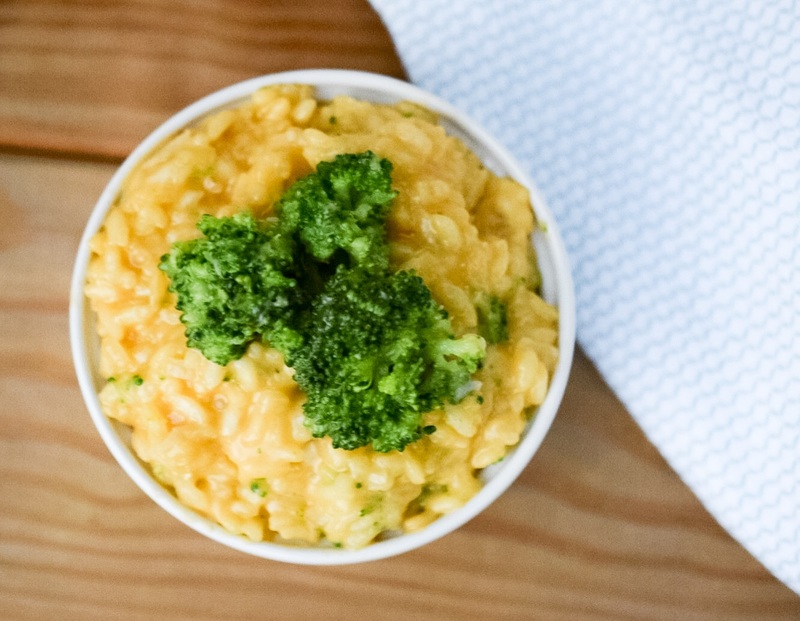 The latest installment of our monthly “Recipe Friday” features an easy risotto recipe that features our favorite cruciferous vegetable – broccoli! 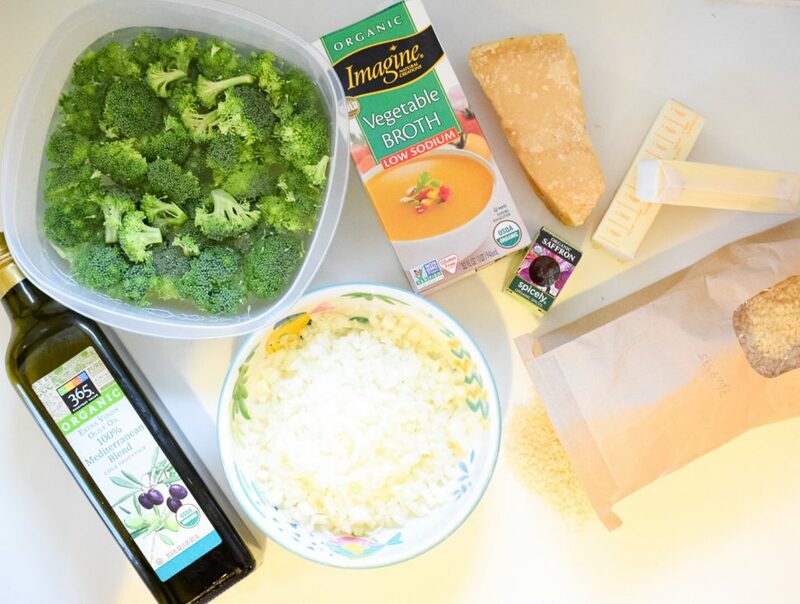 Amy Fisher, RD (@thegreenfisch) created this recipe knowing that the majority of Americans overcook their broccoli. In fact, a recent survey by TrueBroc® found that nearly 40 percent of Americans are cooking their broccoli for 10 minutes or more (yuck! ), which can significantly denature the good stuff, including glucoraphanin! In this recipe, you only need to lightly steam the broccoli (less than 5 minutes). 1 cup of raw broccoli, chopped, has only 31 calories and boasts more than 2 grams of protein and 15 milligrams of glucoraphanin. Cut broccoli into florets and steam for approximately 4-5 minutes, until tender. Remove from heat, rinse in cold water, drain and set aside. In a saucepan bring stock to a boil, cover and keep warm. In a large saucepan, melt 2 tbsp. butter with 2 tbsp. olive oil. Add onion and cook over medium heat for a few minutes until onion is soft and translucent. Add rice and cook stirring to coat it with butter and olive oil. Add wine and simmer until almost evaporated. Add enough stock to just cover the rice and cook until the stock has evaporated. Add saffron to the remaining stock and let it steep. Then, continue adding the remainder of the stock with the saffron slowly, about ¼ cup each time, until the rice reaches the desired tenderness. 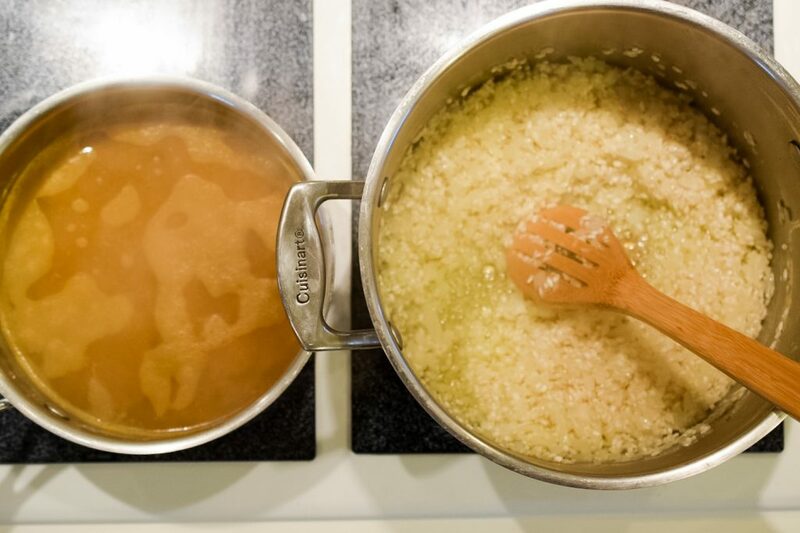 The risotto is done when the rice is just past al dente and the risotto has a creamy texture, about 25 minutes. Stir in the cheese and fold in the broccoli. Season to taste with salt and pepper.